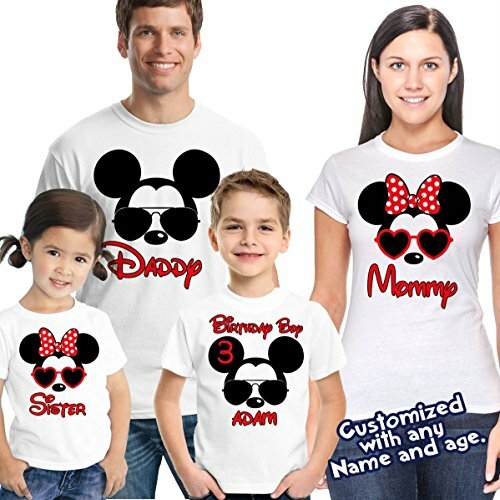 Mickey and minnie sunglasses shirt, Mickey Mouse Birthday shirt is completely customizable with your child's name and age. The personalized applique is adhered to the shirt using a commercial grade heat press making this shirt durable enough to withstand the wear. Please see the size chart below for the t-shirts and choose your options in the drop down menus. We will ship in 1 business days. VISIT OUR SHOP! Other characters available!